On June 2, 2018, the optics world lost one of its great scientists, as Emil Wolf passed away at the age of 95. He left as his legacy not only an incredible body of work, including over 300 papers and classic texts on optics, but generations of students and colleagues who benefited not only from his scientific wisdom but also his kindness and friendship. I was a PhD student of Emil’s at the University of Rochester from 1996 to 2001, and I believe it is fair to say that I would not have finished my degree and found success in my own career without his patience, support, and encouragement. Emil Wolf (upper left) and Max Born (center), in 1953 at Max Born’s retirement. From Emil Wolf, “Recollections of Max Born,” Optics News 9 (1983), 10-16. Born in Prague in 1922, Emil’s early life was transformed by World War II. Fleeing ahead of the advancing Germans, he first ended up in Paris, where he worked as a bicycle courier for the Czech government in exile, and then retreated further to London. There he pursued his higher education, and earned his PhD in mathematics from Bristol University in 1948. In 1951, Emil was presented with the opportunity of a lifetime: the famous quantum physicist Max Born was looking for someone to help him write a new English version of his famed 1933 optics book Optik. Emil was recommended for the job, and he joined Born’s group to work on the project. The book project would continue for a number of years, up until 1959, when the first edition of Principles of Optics was published. The book became known over the years as “The Optics Bible,” as it contains incredible detail on almost all aspects of physical optics. It contained one of the first descriptions of holography in a book, which made Dennis Gabor, the inventor of holography, very happy. The book also contained the first detailed description of what is known as optical coherence theory, the merging of optics and statistics. His contributions to coherence theory are what Emil is most known for, and he is often referred to as the “Father of Coherence Theory.” All light sources possess some degree of randomness, and the light that they emit possesses random fluctuations. Lasers possess relatively small fluctuations, while light bulbs have lots of fluctuations. We do not see these fluctuations, because they happen much too fast; our eyes, and most detectors, only see the average properties of a light wave. These average properties can be described using statistical methods. Before the work of Emil Wolf, it could be said that most researchers viewed the fluctuations of light as uninteresting “noise.” In 1954, however, Emil discovered and published a simple pair of optics equations, now known as the Wolf equations, which demonstrate that the statistical properties of a light wave also propagate as a wave. This was a demonstration that the fluctuations of light were not just noise to be accounted for, but a physical phenomenon worth studying in their own right. The chapter on coherence theory was the last part of Principles of Optics to be written, and it was delaying publication; Max Born impatiently told Emil to leave it out of the book and send it off! Emil did not, of course, and this was the right decision: in 1960, the first laser was built, and coherence theory turned out to be crucial to understanding the nature of the light emitted by the novel light sources. In the end, Born was delighted that coherence was included in the book, and the chapter helped propel it into being the most important optics text for decades. In 1999, the 7th (expanded) edition of Principles of Optics was published by Cambridge University Press. 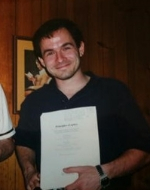 Emil and I at the awarding of my Master of Arts, 1996. I became Emil’s student not long after he had made another fundamental discovery in coherence theory: the phenomenon of correlation-induced spectral changes, in which he demonstrated that the coherence properties of light can influence its spectral properties. 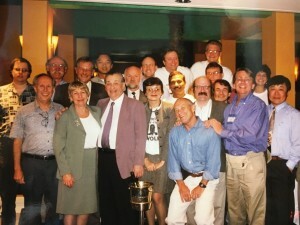 I was struggling to decide what to do with myself in my PhD at the time, and my classmate Scott Carney (now the Director of the Institute of Optics in Rochester) suggested I talk to Emil. I went to see him, and I recall that the first thing he said to me was something like, “Well, you should keep in mind in working with me that I’m getting old and I could die at any time. However, my doctor says I’m in good health right now, so…” He then gave me a huge pile of his research papers, all from the last five years, which convinced me that he would be fine. And he was! Emil continued to supervise students and do research for many years. His last paper, “Creating von Laue patterns in crystal scattering with partially coherent sources,” was published in 2016. 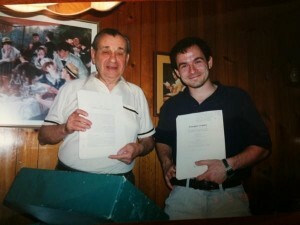 Emil and I at the completion of the index for Principles of Optics, 1999. Emil had a long relationship with Cambridge University Press. In 1995, he coauthored Optical Coherence and Quantum Optics with his longtime friend and collaborator Leonard Mandel, which became an instant classic of the field. In 1999, the aforementioned 7th edition of Principles of Optics was released, and I helped Emil work on the index, which game me an opportunity to enjoy his wife Marlies’ cooking, desserts, and company. In 2007, he finished Introduction to the Theory of Coherence and Polarization of Light, which serves as a great introduction to the often difficult to master subject. I will always remember Emil as not only a scientist, but a friend and even a family member. 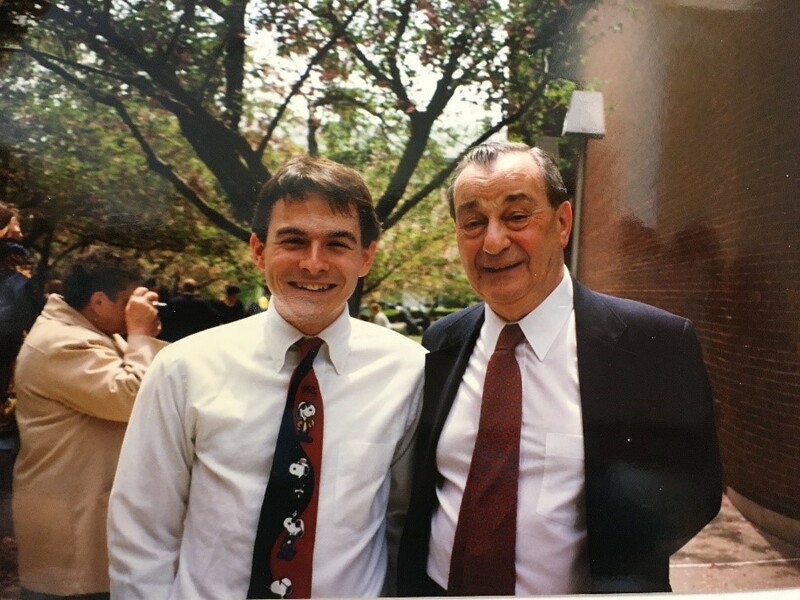 He treated all his students like family, and I treasured those lunches, dinners, drinks and meetings where we would talk about science, society, and history. Emil’s life was filled with fascinating experiences, and he would share humorous stories at any opportunity. I always loved hearing these stories, even though – by his own admission – he would often repeat them. They never grew old. Everyone who worked with him would also often argue – even vehemently – about scientific problems. But Emil would always stress that these arguments were in good fun and that we remained friends, during and afterwards. Emil Wolf was a great scientist, role model, and friend. 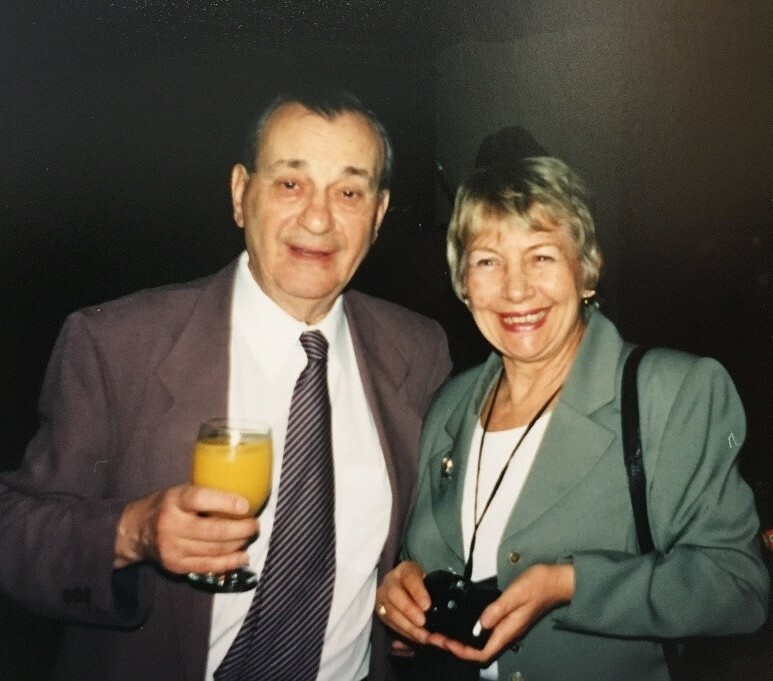 He taught me how to be a scientist, and I owe any success that I have had to his careful mentoring. He has left behind world-changing research and a positive influence on all those who interacted with him. Emil and Marlies in 1996.